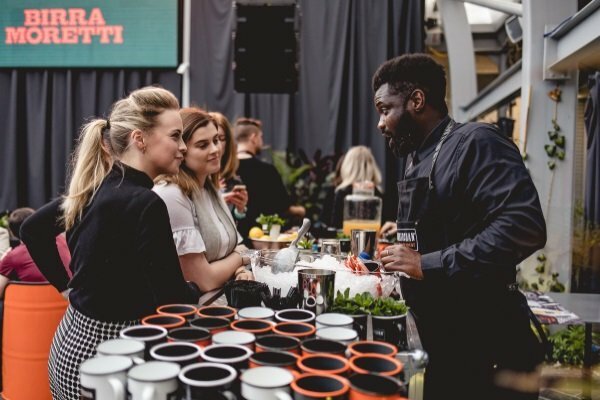 The List's 26th annual Eating and Drinking Guide, supported by longtime partners Birra Moretti, is launching 16 Apr 2019 and we are giving you the opportunity to come celebrate with us at one of our launch parties! The first event will be held in Glasgow at Argyle Street Arches on Tue 16 Apr, and we'll be heading to the new Loudons in Edinburgh on Wed 17 Apr to continue the celebrations. Both venues will be providing a delicious array of canapés. You will get the chance to sample our brilliant drink sponsors Birra Moretti, Johnnie Walker, Darnley's Gin, Summerhouse Drinks and Great Grog. We would like to say a massive thank you to our headline sponsor Birra Moretti, who will be celebrating their 11th year supporting The List Eating & Drinking Guide. The Eating & Drinking Guide is the definitive guide to eating and drinking your way across Central Scotland with reviews of over 900 restaurants, bars, bistros and cafes. With announcements from our coveted Hitlist and Reader Awards, both parties will be nights to celebrate the Edinburgh and Glasgow food and drink industry and the incredible people who make it all happen. For your chance to win tickets just answer the question below, and let us know which party you'd like to attend. This is a strictly 18+ event. This event is not suitable for non-service dogs. Guide/service dogs are of course welcome for those who need assistance. Competition closes 13 April 2019. The List's usual rules apply.